manage your tasks & enhance the transparency! 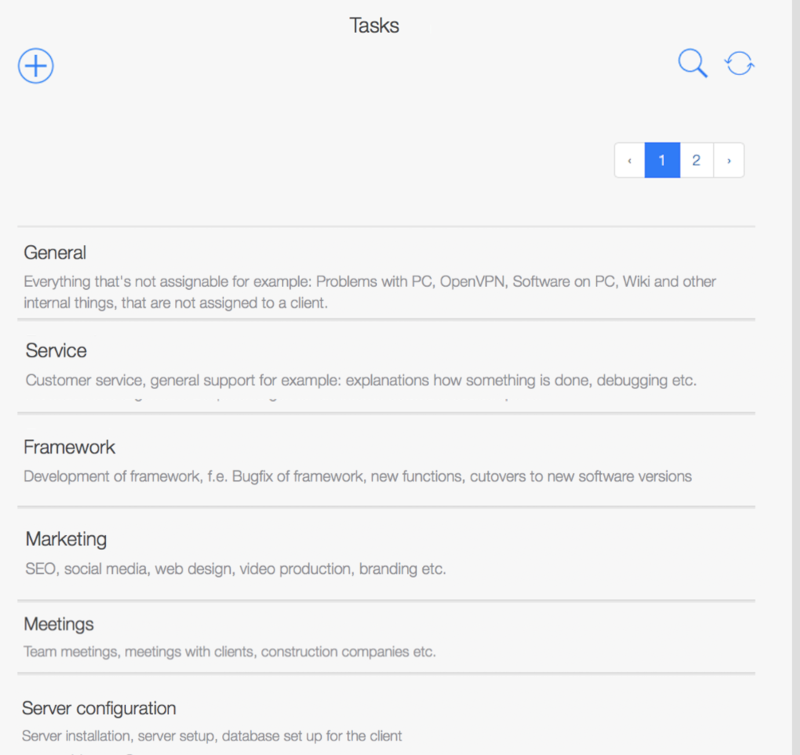 You can create new tasks quickly and easily. In order to achieve an efficient work process, entries should be well defined and uniform. As soon as your team grows, a better documentation of your tasks is necessary. TimeTrack makes sure, that your enterprise remains transparent. With our help, you always know which task costed you the most time. And your team keeps an accurate overview of their work. The admin creates the tasks and can add descriptions to them. This way, all employees know exactly which activity belongs under with project tasks. The result: Tasks are registered properly, names are uniform and you have a good overview of the spent time.